Designed by the acclaimed architect Zaha Hadid, Riverside Museum opened in 2011. This book examines the construction of the unique building, created to house the City of Glasgow's world-famous transport and technology collections. In addition, it looks at the rationale for the overall design and the concepts behind the exhibition display. A shimmering landmark, Riverside sits at the meeting point of the rivers Clyde and Kelvin, a site that nods both to the city's historic shipbuilding past and its future, as the Clydeside undergoes redevelopment. Featuring a bespoke zinc-clad skin of some 24,000 individual sections, glass- reinforced gypsum panels and a swooping z-shape, the building sits confidently, beckoning visitors to explore its vibrant displays. 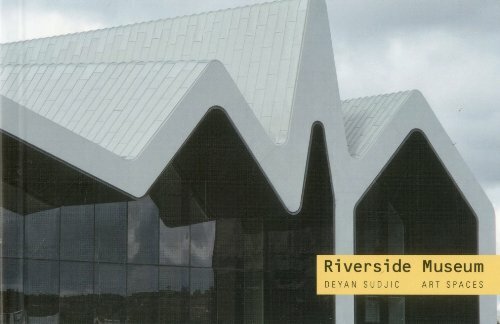 'Riverside Museum' is written by Deyan Sudjic, with contributions from Paul Weston, Design Manager for the Riverside Museum Project, and Jim Heverin of Zaha Hadid Architects. Deyan Sudjic is Director of the Design Museum, London, and has published extensively on design and architecture.